In January 2017, Shawcor experts shared pipeline coating and technical presentations at the 2017 NACE International Pipeline Coating Technology Conference, Houston, Texas, US. Failure modes of mainline and field joint coatings. High temperature, HDD, ID, rehabilitation, fiberglass reinforced, and offshore pipeline coatings. State of the art of LAT FBE. 3LPO/MLPO pipeline and 3LPO field joint coatings. Pipeline coating performance evaluation technologies. Pipelines are generally protected by the combination of electrically insulating barrier coatings in conjunction with cathodic protection. Multi-layer polyolefin coatings are predominantly used to protect oil and gas pipelines due to their excellent barrier properties and resistance to damage. There are no corrosion issues when the adhesion of the barrier coating to the substrate is intact. When there is discontinuity in the barrier coating, cathodic disbondment of the coating can occur. Disbondment of the coating can also be caused by other factors such as moisture ingress, oxidative degradation of interface, hydrolysis of interface, etc. A review of the effectiveness of protection of the substrate under disbonded coatings in terms of theoretical or laboratory simulations, field simulations and actual pipeline operating data have been carried out. The amount of work in these areas are vast and can be broadly divided as: Disbondment without discontinuity – minimal corrosion issues as long as coating resistance is high and permeability of corroding species are low; Disbonded coating with discontinuity but coating tightly bounded to pipe – corrosion is not an issue as long as CP current is greater than oxygen diffusion into crevice; Disbonded coating with brittle fracture such as FBE – allows CP penetration to achieve protective potentials; and Disbonded tape coating loosely wounded on pipe – corrosion issues and SCC found. CP current shielding is not an issue if the coatings maintain adhesion to the substrate. All coatings are insulators and can shield CP current if failed. CP current can also be interrupted by dry ground conditions and conductive structures in surrounding areas. Pipeline failures due to true CP shielding are rare. The critical factors are the stability of the coating transport properties and the adhesion to the steel substrate under service environments. Written by Dennis Wong and Catherine Lam, Shawcor's Technology Research and Development. Figure 1. Pipeline Coatings to Cathodic Protection. To effectively operate a pipeline over its entire lifetime and meet all legislative and regulatory compliance requirements, oil and gas majors must be able to collect, store and securely access quality assurance and in-service data for all components used to construct and operate the asset. Information technology is transforming the pipeline coating industry and making some of this possible through Smart, Connected Solutions. Data sets from autonomous operating equipment and other devices can now be compiled, linked together and made traceable and accessible in real time, in the cloud, by any approved user. 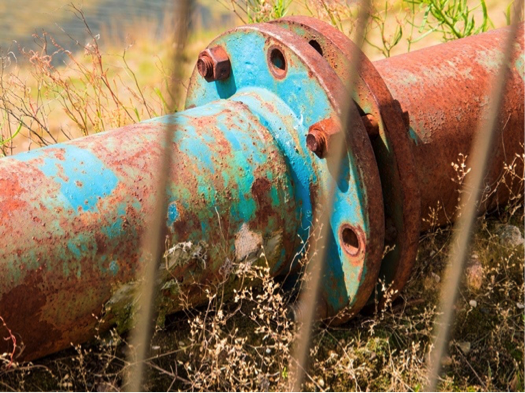 With a need for reliable data and traceability as part of the coating solution to support long-term asset management – the industry is turning to Smart, Connected Solutions for pipeline and field joint coatings. Written by Jarrod Shugg, Global Marketing Manager, Canusa-CPS. Figure 2. Smart, Connected Solutions.